As you cruise down Highway 163 in Northern Arizona and the first sandstone butte appears, you are entering Tsé Biiʼ Ndzisgaii, valley of the rocks in the Navajo language. 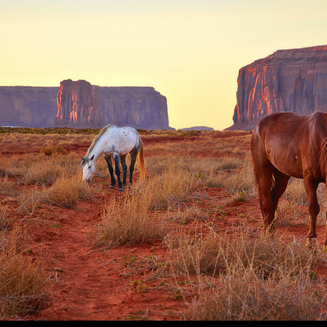 Better known as Monument Valley to the rest of the world, this is the iconic setting of Stagecoach and The Searchers, films that made John Wayne a legendary star, and the majestic landscape of Ansel Adam’s photographic inspiration. This great valley boasts sandstone masterpieces that tower at heights of 400 to 1,000 feet and clouds casting expansive shadows that graciously roam the desert floor. The Dine people, known as the Navajo, have lived on these lands for more than 500 years and today Monument Valley lies entirely within the their nation. 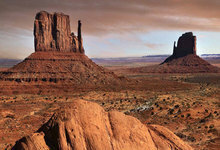 The most famous mesas, buttes, and spires stand within the boundaries of a Navajo National Park. In the park, seventeen miles of dirt roads loop around the valley’s most admired landmarks including Rain God Mesa, the Thumb and Gray Whiskers. To go off road and admire the colossal rocks up close, hire a Navajo guide for a journey you will never forget. Float above the colossal rocks at sunrise in a hot air balloon while learning about the area’s history, or take a safari into the restricted areas of the Valley where local guides share their knowledge of Navajo culture. Feeling intrepid? There are also day and overnight hikes, rafting, horseback riding, and backpacking tours for those craving more adventure. To stay among the red rock formations, book at room at The View Hotel, the only hotel within the Tribal Park or arrange for a permitted backcountry campsite. The hotel lives up to its name with incredible views of the Mittens and other buttes. Outside the park, there are several lodges and campgrounds to choose from. 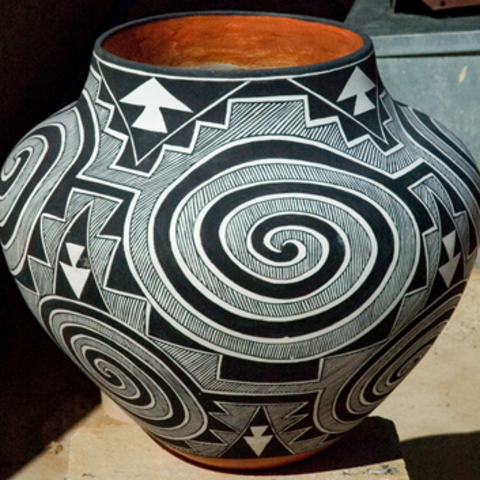 For a unique setting, stay in a Hogan, a traditional Navajo home. You may see these dome-shaped structures still in use around the park; these dwellings represent the universe and harmony of nature for the Dine people. Come for the breathtaking landscapes of Monument Valley, stay for the adventures, local crafts, and fry bread, and leave remembering the warmth and culture of the Dine people. 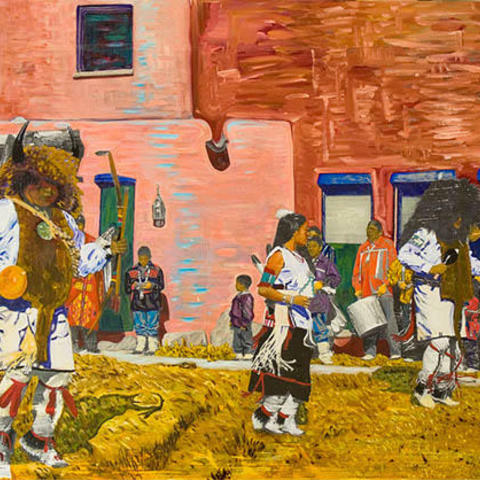 Alcoholic beverages are prohibited on tribal lands. The Valley lies mostly in northern Arizona, but the highway turn-off that leads into it is just across the border in Utah. 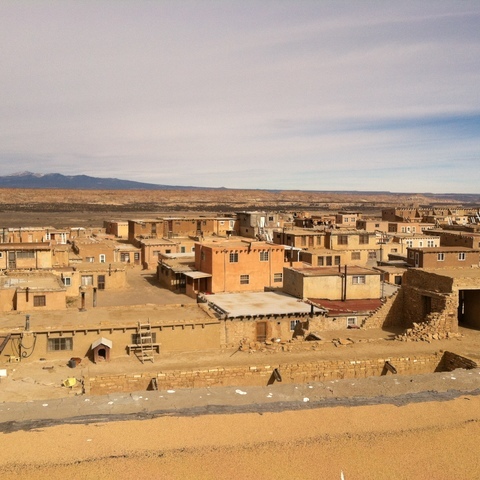 The nearest town is Kayenta, about twenty miles to the south. Personal photography is allowed, but when photographing Navajo residents and their property permission is required and a gratuity is expected. Commercial photography requires a permit.